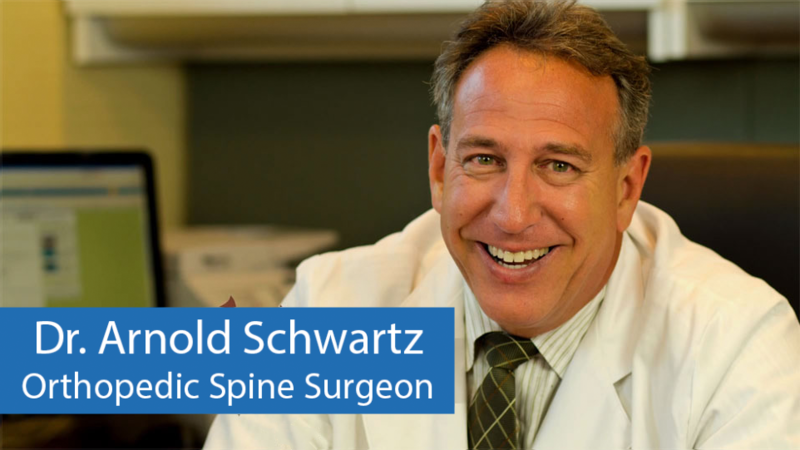 Dr. Schwartz, a board-certified orthopedic surgeon, has specialized in spinal surgery since 1986 when he completed a fellowship in spinal disorders at the St. Luke’s Hospital Spine Center in Cleveland, Ohio. He received additional training in Europe and Israel with some of the world’s leading experts and innovators in spine surgery. He completed his undergraduate work in Bio-Medical Engineering at Northwestern University in Evanston, Illinois and received his medical degree from the State University at Stony Brook. Dr. Schwartz completed a general surgery internship at Mt. Sinai Hospital in New York City and his orthopedic surgery residency at Boston University. Since completion of his training, he has concentrated his practice to the care of patients with spine disorders. He has been an investigator for two clinical studies involving FDA approval of a spinal device used in spinal fusion procedures. Dr Schwartz is a member of the Medical Board, Credentials Committee and Quality Assurance Committee at Huntington Hospital. Dr. Schwartz is a Fellow of the American Academy of Orthopedic Surgeons and the American College of Surgeons as well as an active member of the North American Spine Society, New York State Orthopedic Society, American Medical Association, Medical Society of the State of New York, and the Suffolk County Medical Society.